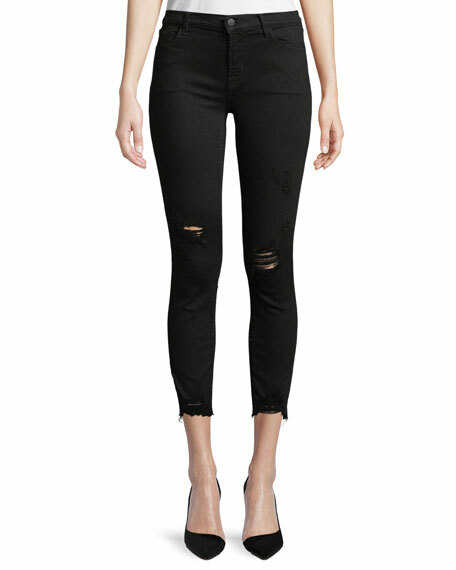 J Brand "835" pants in stretch-denim with slight destruction at the ankles. Approx. measurements: 8.75" rise; 26" inseam; 9.75" leg opening. 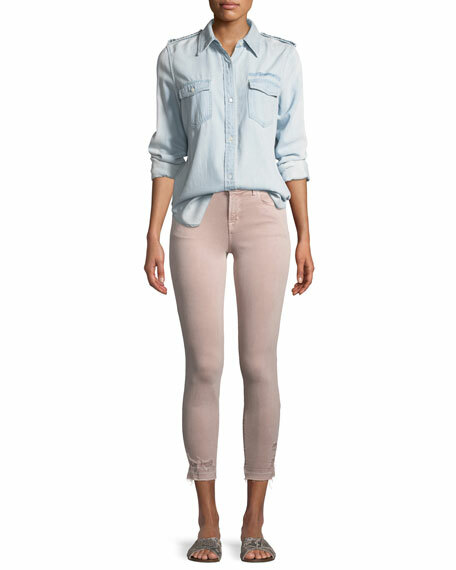 Photo Ready Denim designed to lift, sculpt, and contour. For in-store inquiries, use sku #2491742. 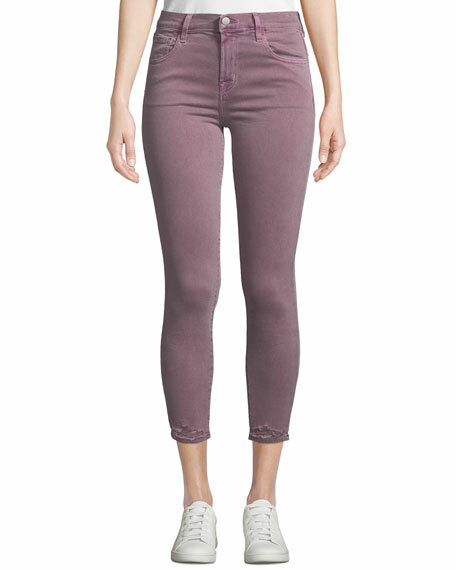 J Brand "835" jeans in ultra-lush stretch-denim. Approx. measurements: 8.75" rise; 26" inseam; 9.75" leg opening. Mid-rise; belt loops. Button-zip fly. Fitted through skinny legs. Ankle-length. Raw-edge hem. Lyocell/cotton/polyester/spandex. Machine wash. Made in USA of Italian materials. 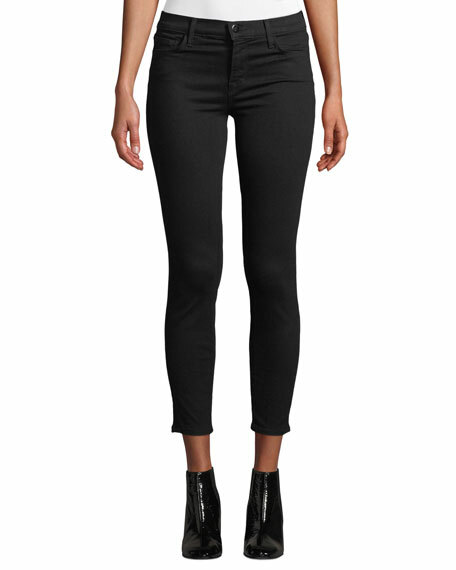 J Brand "835" jeans. Five-pocket style. 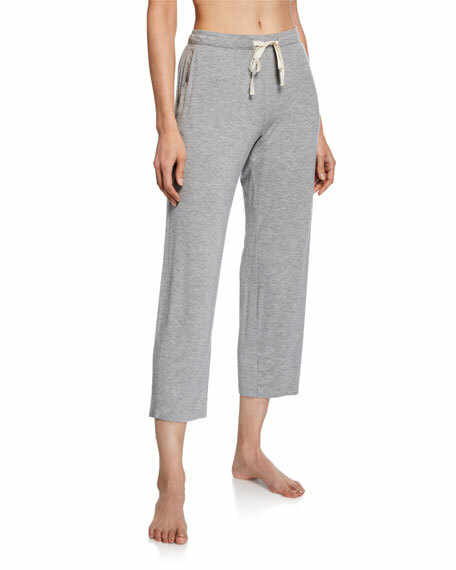 Mid-rise, skinny-leg fit. Cropped hem. Button/zip fly; belt loops. Cotton/polyester/spandex. Made in USA of imported material.